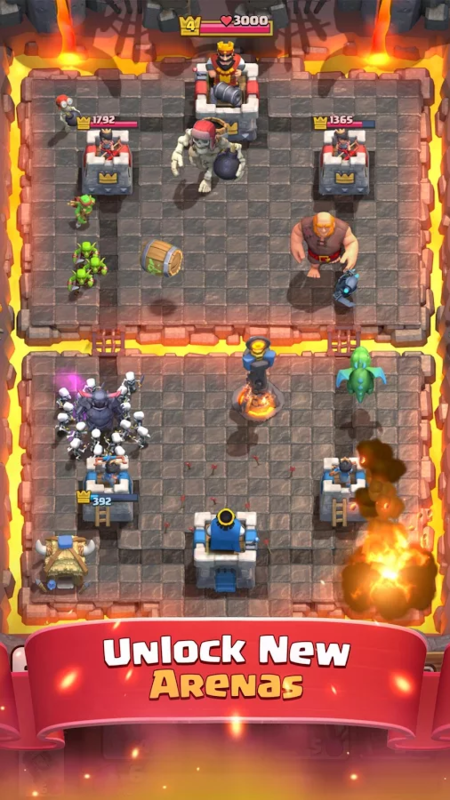 I kind of wish that Supercell, developers of the base-building IAPfests Clash of Clans and Boom Beach, would go into cartoons or movies. The 30-second commercial skits that they make to reel players into games are much more entertaining than the games themselves. But if wishes were horses, we'd all be eating steak, so let's just take a look at the company's latest offering. 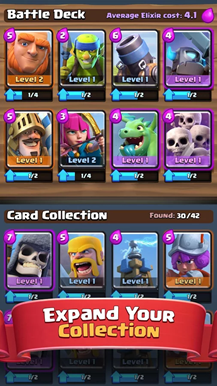 Clash Royale is available worldwide today, after spending several months as a geo-limited beta. 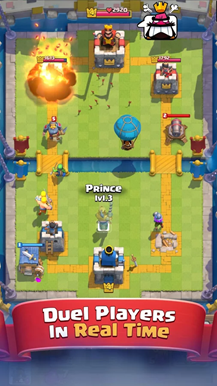 At the very least, Clash Royale works with a few new ideas. 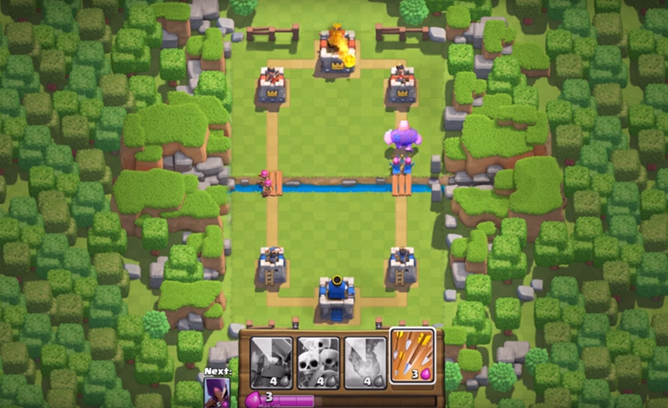 The playing field is something of a tower defense setup, but playing against either the computer or a human opponent is handled via a deck-and-card system. If that sounds confusing, imagine Hearthstone or Magic the Gathering where you send monsters out to fight for themselves instead of micromanaging them. Units and spells are deployed on the field using a combination of time and turn-based energy, and players focus on destroying two defensive towers before attacking the opposing player's health directly. Games are limited to mobile-friendly rounds of 3 minutes each, so offense and defense both have a fast pace. Clash Royale uses the characters and mild fantasy setting of Clash of Clans, but you don't really need any experience with the previous game to get into it. The strategy comes from the choice of cards in your deck and how you deploy them against your opponent's forces. 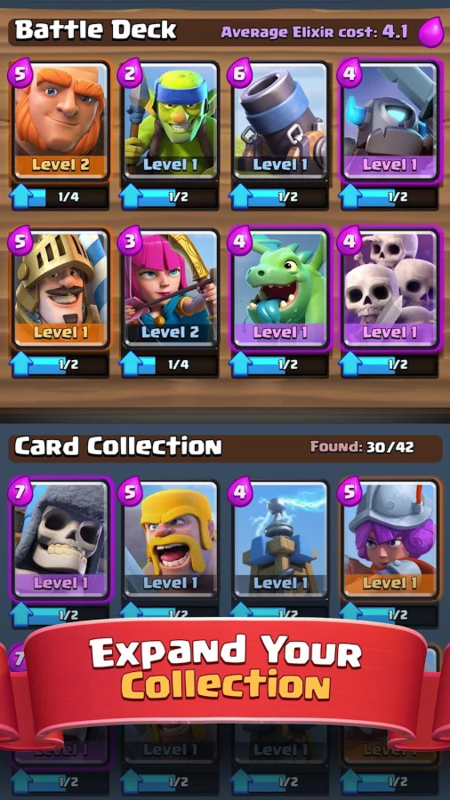 The focus of the non-battle portion of the game is getting a wide variety of cards (which come from semi-random chests) and leveling them up to make them more powerful. There's also a strong multiplayer team element that comes from the Clans legacy - playing with friends will get you bonuses that aren't available to solo players. This is a Supercell game, so naturally there are in-app purchases out the garde de robe. They come in the form of gems, the more rare of two in-app currencies, which are used to lower the arbitrary timers on reward chests. Yes, it's the old familiar wait-or-pay formula, and those who decide to pay will be able to play at the higher multiplayer tiers faster. It's not an ideal system, but as far as these freemium money sinks go, it could be worse.